E-commerce which till a few years back was of peripheral significance to the CPG industry is now one of the biggest drivers of change and innovation in the sector. The numbers representing growth are quite staggering with McKinsey1 believing that the online space will account for anywhere from 10 to 30 percent of total industry sales growth in the next five years. This equates to a market opportunity of USD 15 Billion to USD 50 Billion. Given how digital is impacting every part of the CPG value chain, companies need to be awake to the emerging trends as they can potentially have a make or break effect. 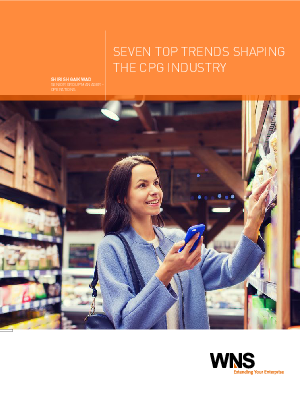 This article discusses key trends that will define the CPG space in days to come.